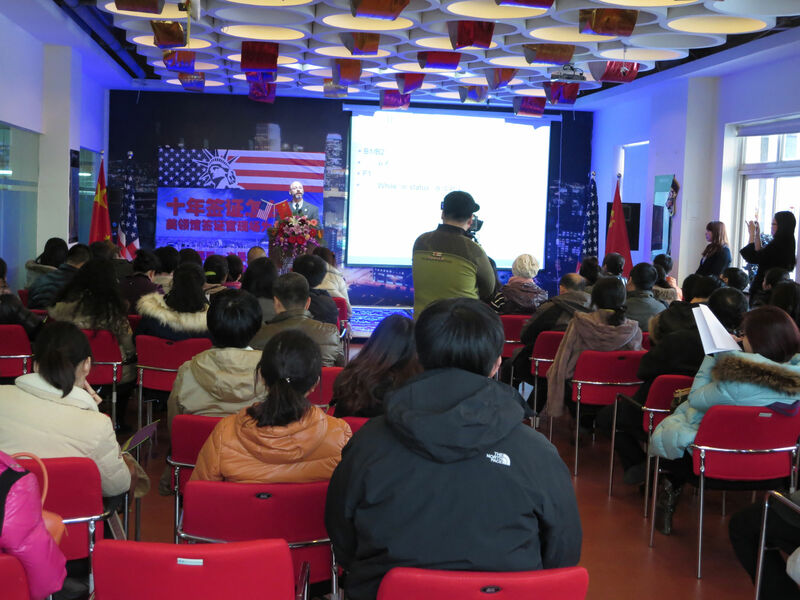 The Consulate was invited by a local language school to give a talk about the new visa validity. I got to go. The school specializes in preparing students to go to the U.S. for school. There was a lot of interest in the process of applying for a visa, and in the new 10-year tourist visa validity. We were trained for this kind of venue: there was a live audience, and my talk was being video recorded. Thanks to the training, I managed to control my dancing feet, and stay behind the podium (most of the time). It was a lot of fun to talk with people, and to field their questions. I love talking. As usual, after it was over, I was so pumped up that I had to walk home. 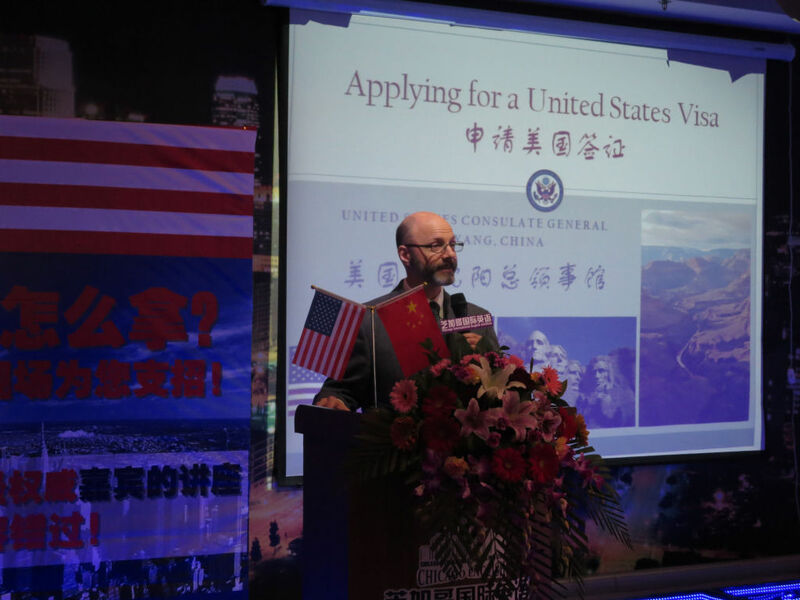 Posted in: Foreign Service, Out and About in Shenyang. You are definitely an extrovert. Me – I would be so pumped up that I would have to go read a book in silence.